Working with cars often exposes you to oily components, which can reduce your grasping ability. The MaxiFoam Palm-Coated General Handling 34-800 Gloves are designed so they channel oil away from the gloves and therefore offer better grip. This helps you remain as efficient as possible throughout use. These are designated Category II gloves, meaning they should be suitable for most medium-weight tasks. The gloves offer a reasonable amount of protection against mechanical hazards in wet, dry or dirty conditions. This makes them suitable for use when no other hazards are present. 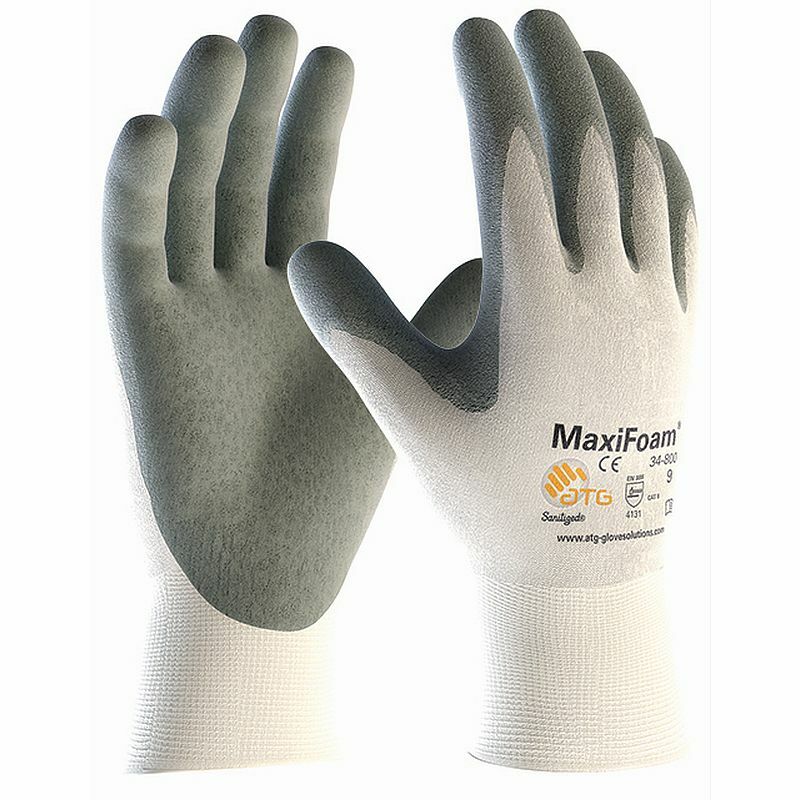 The MaxiFoam Palm-Coated Gloves are available in seven sizes to fit most hands. Please measure the circumference of your hand around the knuckles (excluding your thumb) with your palm open and your fingers together. Next, measure the length of your hand from the tip of your middle finger to your wrist.